The Hellenic Republic, a full EU member state, scores high on all major factors taken into consideration when choosing a new country for relocating, such as quality of life, regulated environment, secure living conditions in urban and rural areas, access to efficient services, residence privileges for family members, freedom to travel, among others. Despite its small size, Greece features a particularly diverse natural environment, providing many recreational opportunities. This, combined with a spirited lifestyle blending both ancient and modern. Mediterranean culture, makes Greece a simply extraordinary place to be – and a wonderful place to call home. The birthplace of Western civilisation, Greece’s cultural legacy lives on in modern Greek society. While countless archaeological sites and museums offer visitors and residents a chance to experience Greek history in person, the country’s deep heritage is also felt in the spectacular concert halls, the summer open-air theatres, and the bustling neighbourhood art galleries found throughout Athens and other cities. Greece is today, as it has been for thousands of years, an inspiring place to be. With 300+ days of sunshine per year, the climate in Greece makes living in this Mediterranean destination a year-round joy. The country’s stunning topography and existing facilities offer countless options for recreation and relaxation, such as swimming, sailing, kite surfing, rafting, biking, rock climbing, skiing, golf, spas – to name just a few. For after-hours entertainment, restaurants, bars, clubs and cultural venues all contribute to a vibrant nightlife. A modern tourism infrastructure is at your disposal for weekend getaways to some of the world’s most beautiful locales. Whatever you choose to do, healthy and joyful living is part of the Greek lifestyle. The Mediterranean diet is globally famous. There is nowhere on earth better suited for healthy, wholesome eating than Greece. With a rich variety of ingredients and traditional products, such as seafood, olive oil, cheeses and other dairy products, tempting pastries and speciality wines that will satisfy every foodie and thrill every cook. Greece offers a wide variety of international educational options for expatriates, from pre-schools to universities – especially for students seeking studies in English, French and German. Many high schools offer the International Baccalaureate (IB) program and have a good track record in placing students at prestigious universities, both in Greece and abroad. At the same time, many international universities offer unique educational programs in Greece for undergraduates and graduates alike. Appropriately enough, as the home of democracy, Greece is a parliamentary representative democratic republic. The Prime Minister of Greece is the head of government, ruling with the approval of a multi-party legislature. For over four decades, from the reintroduction of democracy in 1974 to the Greek government debt crisis, two political factions dominated – the liberal-conservative New Democracy and the social-democratic Panhellenic Socialist Movement. The Judiciary is independent of the executive and the legislature. The Constitution of Greece, which calls Greece a “presidential parliamentary republic”, includes extensive specific guarantees of civil liberties and vests the powers of the head of state in a president elected by parliament. The Greek governmental structure is similar to that found in many other Western democracies and has been described as a compromise between the French and German models. Legislative power is exercised by Parliament and the President of the Republic. Executive power is exercised by the President of the Republic and the Government. Judicial power is vested in the courts of law, whose decisions are executed in the name of the people. Although the President of the Republic has limited political power, as most power lies with the government, his duties include formally appointing the Prime Minister, on whose recommendation he also appoints or dismisses other members of the government, he represents the state in its relations to other states, proclaims referendums etc. Greek politics was often described as dynastic, at least until the election of Syriza in 2009. with long-established political families controlling the positions of power. This is certainly true for the Prime Ministers, but there are many Ministers and Members of Parliament with no relation to political families. The economy of Greece is the 55th in the world by purchasing power and is the 48th largest in the world. The Greek debt crisis, which played out after the financial crisis in 2007-8, the Greek economy struggled to meet its repayment schedule. Negotiations between its creditors led to austerity measures; in a popular referendum in 2015, the Greek public rejected the third round of austerity measures. However, the Greek economy is beginning to recover. In 2017, the Greek economy grew by 1.6%, and Alex Tsipras has recently replaced hardline left ministers with newer recruits who are more willing to cooperate with Greece’s creditors. Furthermore, the launch of the Golden Visa program in 2013 underlines its commitment to opening the country to foreign investment. 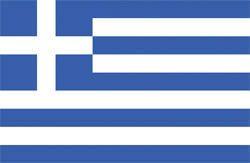 Starting in June 2013, the Greek authorities issues 983 Golden Visas. Despite the economic problems that have affected Greece in recent years, it remains a viable and popular option for people who wish to relocate to Europe. Greece offers the opportunity to invest in a residency permit. To apply for the permit, an applicant must first apply for a national “D” visa in order to gain entry to Greece. The applicant can then buy a property. The property investment can be a single property or multiple properties, as long as the value of the investment is €250,000 plus VAT. A residence permit can be renewed every five years, as long as the holder still owns the property in question, or other properties of the same value. The birthplace of Western civilisation, Greece’s cultural legacy lives on in modern Greek society. Investment in industry Greece also welcomes investment activity involved in the implementation of the operation of an investment project. Up to ten permits may be issued for an investment project (investors and executives) depending on the investment scale. The investment activity may be implemented through the construction of new facilities or business acquisitions, as well as the expansion of current activities, provided it has a positive impact on the national economy. In order to qualify for the residency permit, the investment must equal the value of €250,000. There is no legal requirement to collect and process the documents through a lawyer. In cases where the applicant does not speak Greek and /or is located outside of Greece, it may be preferable to ask for the support of a legal representative or proxy who is in Greece, to facilitate the process. b. The direct descendants of the spouses, who are under the age of 21.
c. The direct relatives of the spouses in the ascending line. Can my relatives in the ascending line (namely my parents and my spouse’s parents) or my children who are over the age of 18, accompany me (in cases of real estate ownership in Greece), and be included in the family provision? What about the children who turn 18 during the period when their parents’ residence permit is valid? Ascendants are included in the provision above but not children over the age of 21. Children of third-country nationals, who have been admitted to Greece under the terms and requirements of a residence permit for property owners, are granted a residence permit for family reunification until the age of 21. After that, it is possible to acquire a renewal as a 3-year independent residence permit until they reach the age of 24 and then it is possible to renew it further according to pertinent immigration legislation. Family members do not include unmarried partners. Yes. The residence permit and long-term visas are valid as far as the free movement of the person in the Schengen area is concerned. Any citizen who holds a long-term visa (such as the residence permits for real estate owners) which has been issued by a member state and are valid for one year, are able to travel to other member states for up to 3 months within a six month period, under the same conditions which apply to the holder of a residence permit, while they are also granted a right for multiple entries. In no case does the residence permit provide access to any type of employment. Employment, according to paragraph 6, article 20, of Law 4251/2014, does not include the exercise of economic activity in the capacity of a shareholder or a Chief Executive Officer for an already existing company. The family members that have been issued a residence permit for the same duration as the sponsor are similarly not granted access to the employment market. This title is not included in the titles that allow direct access to the acquisition of Greek citizenship by naturalisation; it simply allows its holder to access long-term residence status, such as the status of the long-term resident, which is a qualification required for naturalisation. In order for a person to obtain a residence permit of a long-term resident the conditions of Articles 89 and 90 of L. 4251/2014 must be cumulatively met. Does the amount of €250,000 include the Value Added Tax? What should the value of the investment be if the ownership/sale document includes the name of both spouses? The amount of €250,000 refers to the price indicated on the contract. In cases of joint ownership of the real estate property by spouses, the residence right is granted to both spouses. Can I obtain more than one piece of property, the individual value of which is less than €250,000, if the combined value is equal or greater than €250,000? You are entitled to residency rights irrespective of whether you own one or more properties, provided that their combined value is equal to or greater than €250,000. The law states that €250,000 must be the stated price on the contract. It does not distinguish between commercial and residential properties. There are restrictions on properties located in border regions. It should be noted that as border regions are defined the prefectures of the Dodecanese, Evros, Thesprotia, Kastoria, Kilkis, Lesvos, Xanthi, Preveza, Rodopi, Samos, Florina, Chios, and the islands of Thera and Skyros, as well as the former regions of Nevrokipi in the former prefecture of Drama; Pagoniou and Konitsas in the prefecture of Ioannina; Almopia and Edessa in the prefecture of Pella; and Sintiki in the prefecture of Serres. Individual or legal entities, which are affected by the restrictions above, can request the lifting of the ban for the border regions, along with their application, which should clearly state the intended use for the property. The decision to lift the ban is made by the Minister of Defence, following the submission of an application. You can arrive at any Schengen country you wish to. Can I purchase a car with Greek license plates for my transportation needs in the country? Yes, under the specific regulations of the Ministry of Transport, which apply to third-country citizens. Is it required of the buyer to prove economic capacity? The income of the applicant must be proven by documentation which proves their capacity (e.g. Certificate by class-A recognised bank or an official financial institution or other recognised institutions to store bonds) and certify the existence of bank accounts or other transferable securities, especially shares or bonds (the above are checked for the issuance of a type D visa). In all cases, before the contract, the price of the real estate is paid via a crossed bank cheque or through another banking transaction. If 8 third-country citizens jointly buy a property for €2,000,000, are all the joint owners entitled to a residence permit? Yes, provided that the amount invested by each one is €250,000. Does the residence permit continue to be valid if the real estate property is transferred/resold? In cases when the real estate (property) is transferred, the third country citizen loses the right to residence. In case of resale of the property during the period of validity of the residence permit to another third country citizen, the right to a residence permit is granted to the new buyer along with a simultaneous revocation of the seller’s residence permit. Third-country citizens who own real estate have the right to rent their property.